She has no idea who or where she is. Or why she's dead. The only clue to her identity hangs around her neck: a single, rusted key. This is how she and the others receive their names - from whatever belongings they had when they fell out of their graves. None of them remembers who they used to be. Under is a place of dirt and nightmares, and Key is determined to discover the secrets of her past in order to escape it. Then the murders start, bodies that are burned to a crisp. After being burned, the dead stay dead. 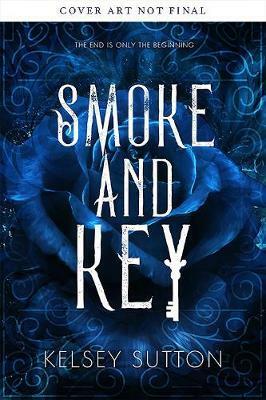 Key is running out of time to discover who she was - and what secret someone is willing to kill to keep hidden - before she becomes the next victim. Kelsey Sutton is the author of The Lonely Ones, a middle-grade novel in verse that received a starred review from Kirkus. She is also the author of Some Quiet Place, and its companion novel Where Silence Gathers, both published by Flux. She is also the author of the YA e-book original GARDENIA.